In an ancient village in the region of current-day Taiwan, hemp cord was used in pottery, dating hemp’s presence back some 10,000 years and establishing it as one of the first and oldest agricultural crops. Until 1883 industrial hemp was one of the most widely cultivated crops in the world. Its use declined for reasons including its erroneous association with the psychoactive properties of marijuana and formidable campaigns that promoted competing, synthetic products. Could this plant provide economic stimulus to our nation once again? Industrial hemp is grown legally in more than 30 countries. The United States is one of a few industrialized nations where its farming is banned. As a result, this equates to significant economic losses. Hemp product retail sales in the U.S. in 2014 were estimated at $620 million. Much of the hemp used in those products was sourced from Canada, China and other countries. Hemp sourced in the U.S. would return lost dollars to our own economy and create tens of thousands of sustainable, green jobs. 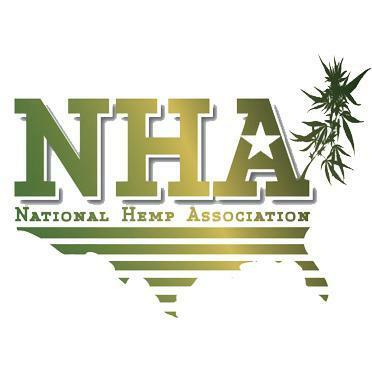 In January 2015 the Industrial Hemp Farming Act was introduced in the U.S. House (H.R. 525) and Senate (S. 134). If passed it would lift all restrictions on the cultivation of industrial hemp nationwide and remove its classification as a Schedule 1 Controlled Substance. Thus far, 29 states have passed pro-hemp legislation including state laws that make hemp farming legal in Vermont, Tennessee, Oregon, Kentucky and Colorado. Here in Colorado 3,000 acres were registered as hemp farms with 1,600 acres planted as of September 2015. The largest hemp farm in the United States is located in Eaton, Colorado, with 300 acres under cultivation by Colorado Cultivars. Few crops are as eco-friendly as hemp. It can be grown in many types of soils and climates and typically matures in three to four months. It requires much less water than many other crops, such as cotton, and does not deplete the soil. In fact, it actually returns nutrients to the earth. Naturally resistant to pests, it can easily be cultivated organically and grows well without chemicals like fertilizers, herbicides and pesticides. Hemp’s ability to absorb carbon dioxide is several times more efficient than that of trees. Remarkably, many products made from hemp actually sequester carbon dioxide. Therefore, they are often considered carbon negative. What a positive contribution to climate change! Hemp is one of the most diverse of plants in terms of its applications. It is used for rope, textiles, clothing, biofuel, automobile components, construction materials, and a host of other durable products. It can also replace fossil fuels as a source for plastics and is highly nutritious as a food or beverage. In addition, it is the basis for many health and personal care products. Pure Hemp Botanicals offers a great selection of these products, all made from 100% organic, industrial hemp grown in Colorado! Our upcoming blogs will feature various applications of this amazingly versatile plant. Hemp is estimated to have more than 25,000 uses with 5,000 in the textile industry alone. At Pure Hemp Botanicals we appreciate the progressive thinking that promises to make home-grown hemp a reality. Few raw materials are able to compete with hemp’s attributes, and the demand for this ancient yet revolutionary crop is again on the rise.